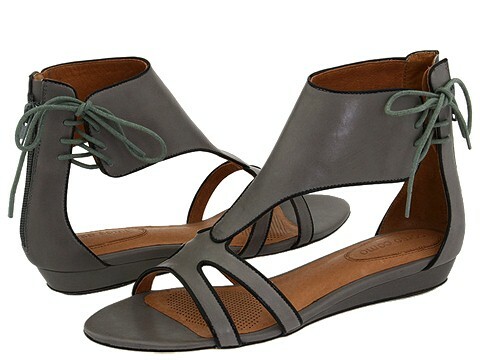 You'll love this feminine take on the gladiator sandal from Corso Como. Leather upper with patent leather piping. Lace-up closure at ankle. Leather lining. Padded footbed provides comfort. Covered sliver wedge. Leather sole. 3/4 heel. 7.00 oz. Free shipping in the USA.